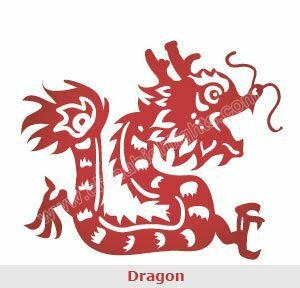 Chinese dragons are powerful and benevolent symbols in Chinese culture, with supposed control over watery phenomenon, e.g. summoning rain during a drought. 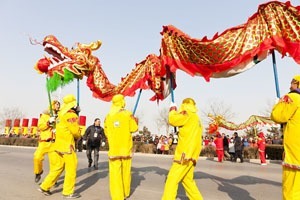 Dragons are everywhere in China — in legends, festivals, astrology, art, names, and idioms. Dragons are seen as lucky and good — quite different to the evil, dangerous, fire-breathing dragons of most Western stories. 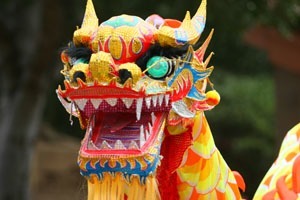 Chinese dragons don&apos;t exist factually — there is no evidence to prove that they are real creatures. The Dragon is one of the twelve Chinese zodiac signs. 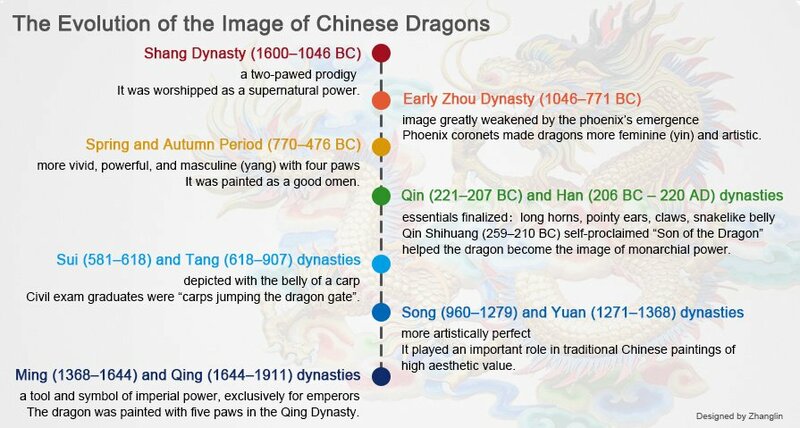 Emperors in ancient China were identified as the sons of dragons. And, at that time, ordinary people were not allowed to have items with pictures of dragons on them. 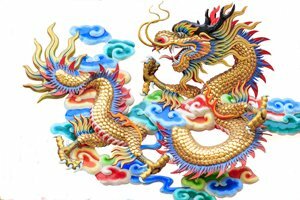 Chinese dragons are symbolic of being lucky, propitious, powerful, and noble; not as monsters as they are portrayed in Western stories. Most Chinese dragons&apos; pictures have long bodies like snakes and sharp claws like hawks — less like dinosaurs than Western dragons..
Chinese dragons live at the bottom of seas, rivers, lakes, or anywhere with water. See more amazing facts on Chinese dragons. Dragons are found in many aspects of Chinese culture from legends about Chinese ancestry to modern mascots, from festival events to astrology to idioms. It was said that thousands of years ago, Yandi (a legendary tribal leader) was born by his mother&apos;s telepathy with a mighty dragon. With the help of the dragon, and allied with Huangdi (a legendary tribal leader), they opened the prelude to Chinese civilization; so Yandi and Huangdi were considered to be ancestors of the Chinese people. As time has gone by, Chinese people refer to themselves as the descendants of Yandi and Huangdi, as well as the descendants of the Chinese dragon. Dragon has transformed from an imaginary prodigy to a mascot from ancient times to the present. It represents the Chinese people&apos;s unrelenting and pioneering spirit of keeping pace with the times. 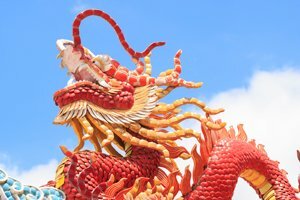 Not only is the dragon prevailing in China, but it&apos;s also very popular among the Chinese people living overseas; it has become the symbol of China and of Chinese culture. Dragon dance: The dragon dance is performed at many celebrations, e.g. Chinese New Year. Generally, there is a long dragon, spanning up to 70 meters, that is constructed using hoops made of bamboo covered with glistening fabric, and held by dancers. Dragon boat racing: Dragon boats are decorated like a Chinese dragon. 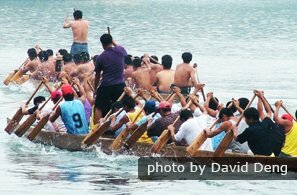 This activity usually attracts many people to appreciate the custom during the traditional Dragon Boat Festival. 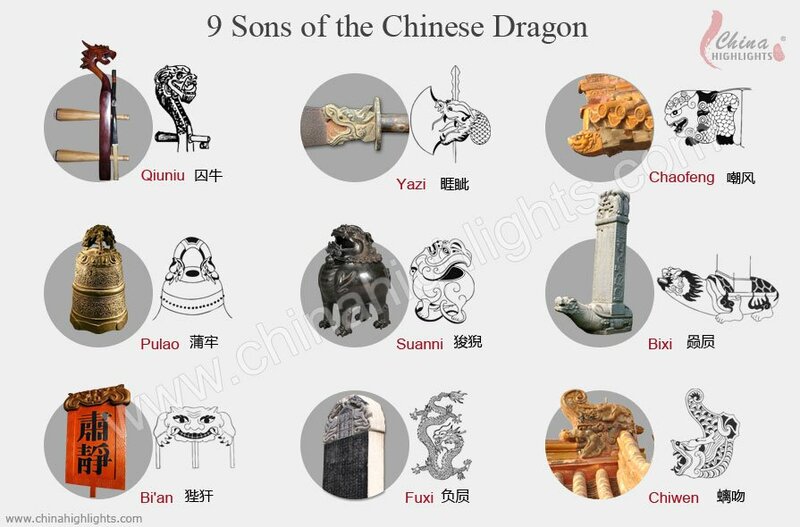 According to Chinese myths, the dragon has nine sons with different characters, and their images are widely used in architectural decoration, especially in the imperial palaces. The nine sons are often used in buildings&apos; decorations and sculptures. 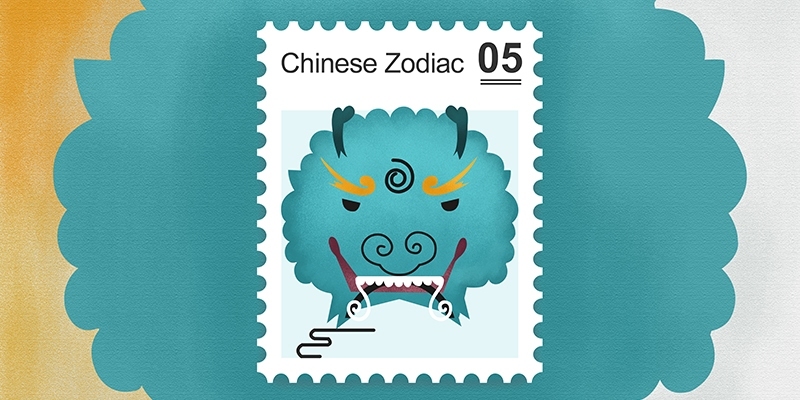 Chinese zodiac sign of the Dragon: Every year within each 12-year cycle of the lunar calendar is represented in Chinese mythology by one of 12 animals. People born in the year of 1940, 1952, 1964, 1976, 1988, 2000, 2012, or 2024 belong to the Dragon zodiac sign. Dragon Idiom — "Crouching Tiger, Hidden Dragon"
卧虎藏龙 wò hǔ cáng lóng, &apos;crouching tiger, hidden dragon&apos;, means talented individuals in hiding. Crouching Tiger, Hidden Dragon is also a famous movie&apos;s name. See 10 movies to watch before going to China. For more dragon idioms see Famous Chinese Sayings. A number of legends concerning the origin of the dragon emerged in the course of Chinese history, of which the Totem-Worship Theory is more popular than the others. The Yellow Emperor (Huangdi, a legendary tribal leader) launched a series of wars against nine tribes on the Yellow River Valley, and incorporated the other tribes&apos; totems into his own dragon totem after defeating them. This explains why the dragon has attributes belonging to nine other creatures: eyes like a shrimp, antlers like a deer, a big mouth like a bull, a nose like a dog, whiskers like a catfish, a lion&apos;s mane, a long tail like a snake, scales like a fish, and claws like a hawk. Chinese dragons don&apos;t exist in real life, but you can see many dragon elements in China. The following three suggestions are just a few examples of where Chinese dragons "exist". You may discover more dragons by yourself. The Chinese dragon symbolizes the sovereignty of emperors, and everything related to it was exclusively for emperors in the Chinese feudal society. The ancient emperors called their sons "seeds of dragons", their robes were "dragon robes", and their chairs were "dragon chairs". 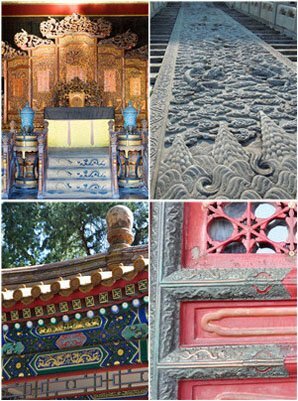 When you enter the Forbidden City, you can see elements of Chinese dragons nearly everywhere: the nine sons of the dragon on the golden roof, on the stone floor, the imperial chair decoration, wood sculptures on pillars, and handrails, etc. 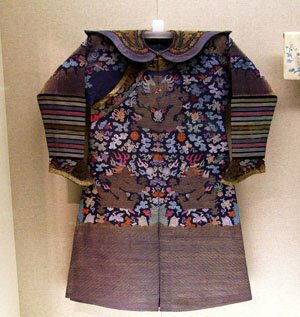 When you visit a Chinese museum with ancient relics, you may see many imperial clothes embroidered with Chinese dragons. You may find them boring, because they all look the same. But if you pay attention to each dragon&apos;s color, number of toes, and gestures, you will find they are different. The pattern of the dragon on an emperor&apos;s robe has four paws with five toes on each, and the one on the vassal&apos;s robe only depicts four toes on each paw, which highlights the supremacy of the ancient emperors. If you are a fan of the Cannes Film Festival, you will remember that the Chinese actress, Fan Bingbing, once walked the red carpet wearing a dress with Chinese dragon embroidery, which was amazing. It will be more interesting to visit a Chinese museum if you know more about Chinese dragons. There are many Chinese opera shows with "dragon" in the title. Also, you can see dragons on imperial robes in an opera show when there are roles depicting an imperial family. 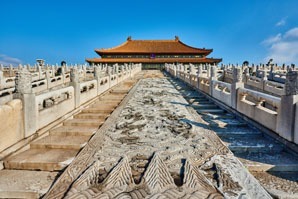 The best way to explore China&apos;s dragon culture is to visit the country, and learn about the culture, with a local expert. 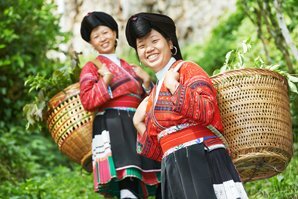 We are in China, and we are able to arrange a culture tour for you with a local knowledgeable guide. 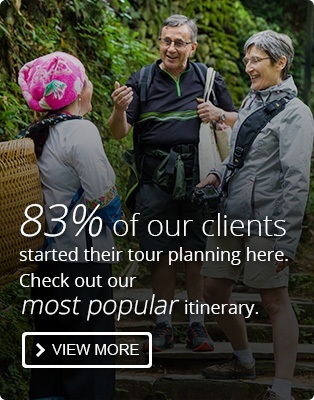 See more China tours for inspiration.